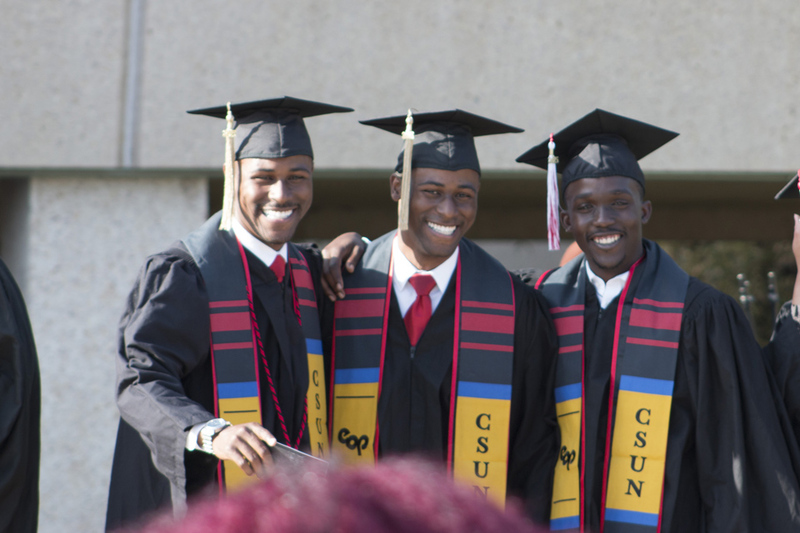 CSUN honors African-American student achievement at the Black Graduation Celebration on Saturday, May 9, on the Oviatt Library Lawn. The Black Graduation was launched in 1972 by black faculty, staff and students to honor African-American graduates with a unique African-American centered celebration. Photo by Corey Brumfield. 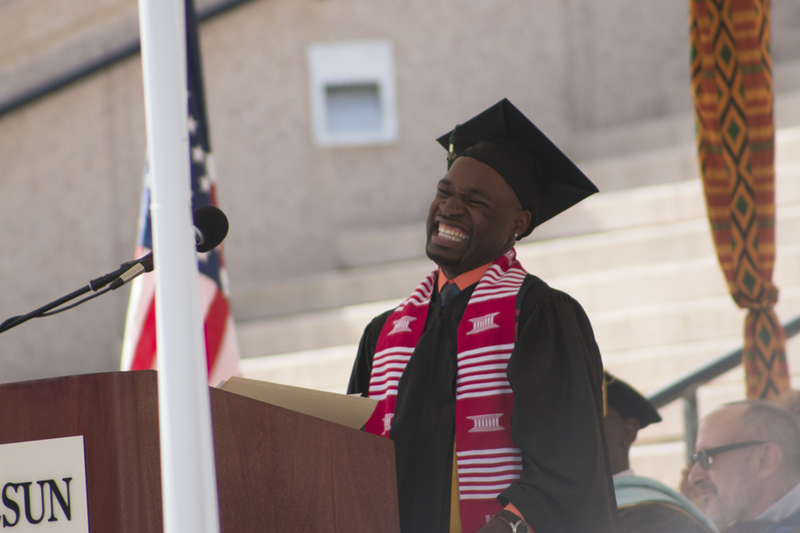 Baccalaureate speaker Walter Harris III ’15 (Child and Adolescent Development) inspires his fellow graduates as they embark on their new journey as CSUN alumni. Photo by Corey Brumfield. 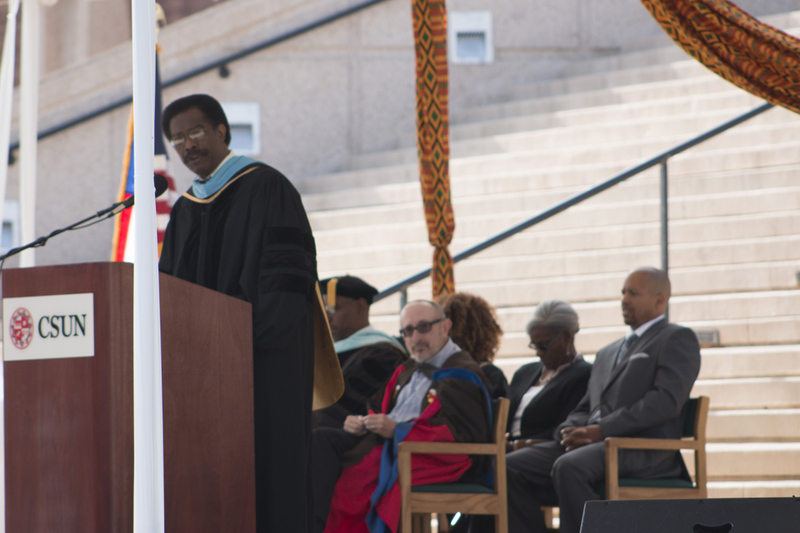 Vice President for Student Affairs and alumnus William Watkins ’74 (Urban Studies) introduces the Black Graduation keynote speaker David Hale Sylvester, author of Traveling at the Speed of Life. Photo by Corey Brumfield. Keynote speaker David Hale Sylvester shares some touching advice with the graduates as they transition from CSUN students to alumni. Sylvester is a motivational speaker, award-winning documentarian and writer of numerous articles. Photo by Corey Brumfield. 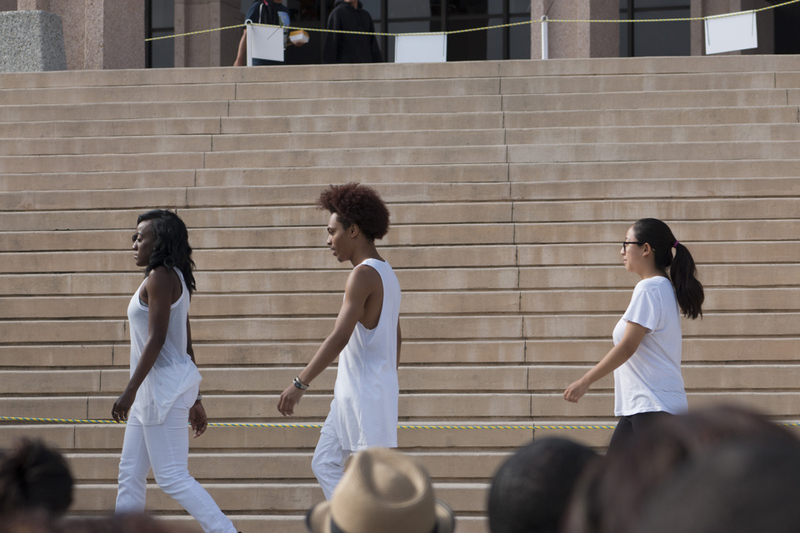 Committed Feet perform “Dancing in the Future” on the Oviatt steps to honor the graduating class of 2015 at the Black Graduation Celebration. Photo by Corey Brumfield. 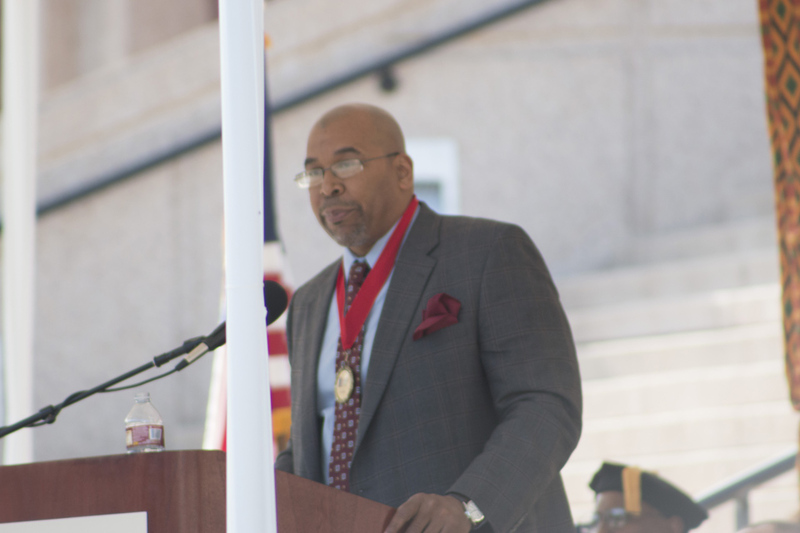 On Saturday, May 9, nearly 200 Matadors celebrated the first day of their lives as California State University, Northridge graduates as their families and friends cheered them on at the 2015 Black Graduation Celebration on the Oviatt Library Lawn. The African-American community at CSUN including faculty, staff and alumni attended the ceremony to create an intimate and personal graduation experience. CSUN hosted four cultural celebrations, including the Black Graduation Celebration, Rainbow Graduation Celebration, Veteran Graduation Celebration and the Aztlan Graduation Celebration, to recognize the diversity of our students and commemorate them on a successful academic journey.